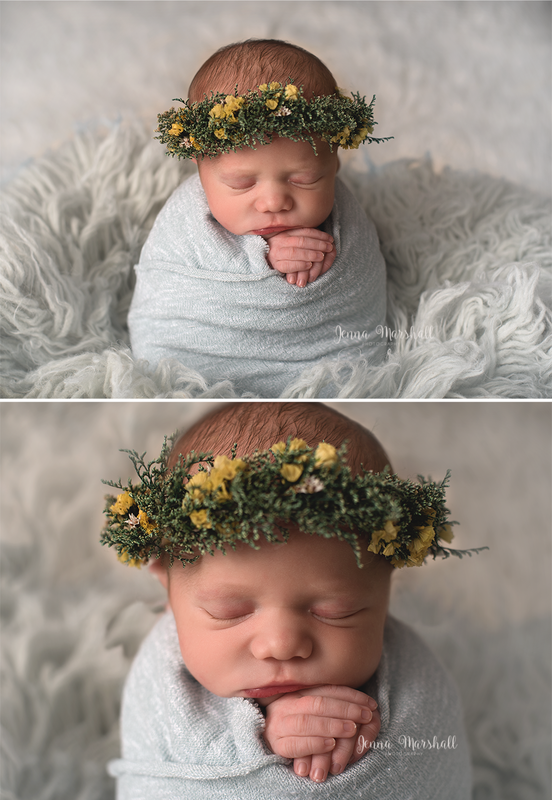 As photographers that work with newborns we all know sessions can be really hit and miss with regards to how successful the poses are with each baby. I have found certain poses work well with little ones who are unsettled in different ways. 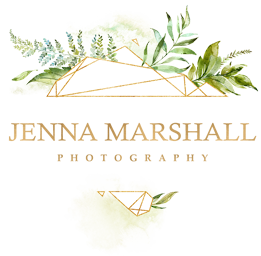 So here is just a little blog on what I have found has worked for me and may well work for you. 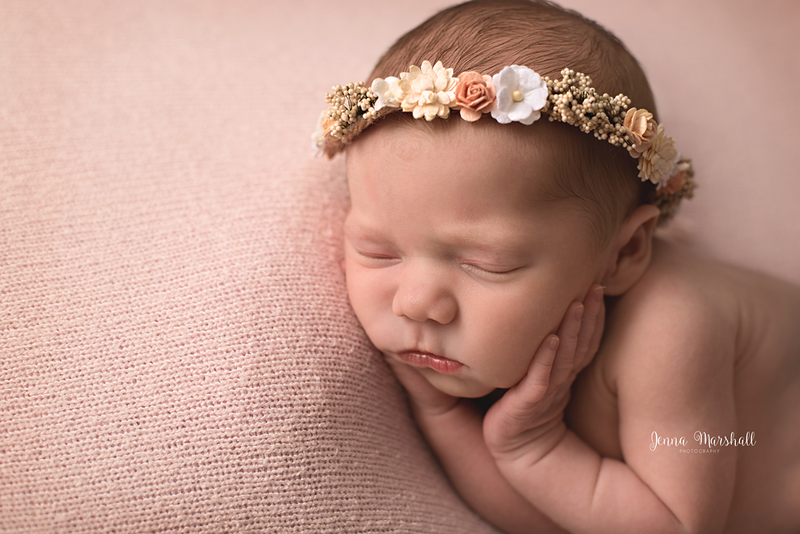 This session being used as an example is the baby of my lovely assistant Jenni. 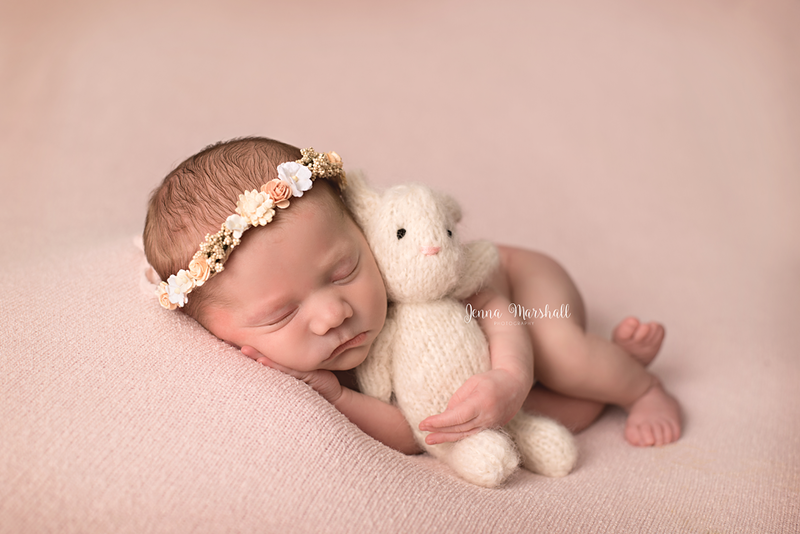 Jenni warned me that Amelie was quite an unsettled baby, between having feeding trouble and an upset tummy (believed to be reflux and allergies) We were all worried how well the session would go. 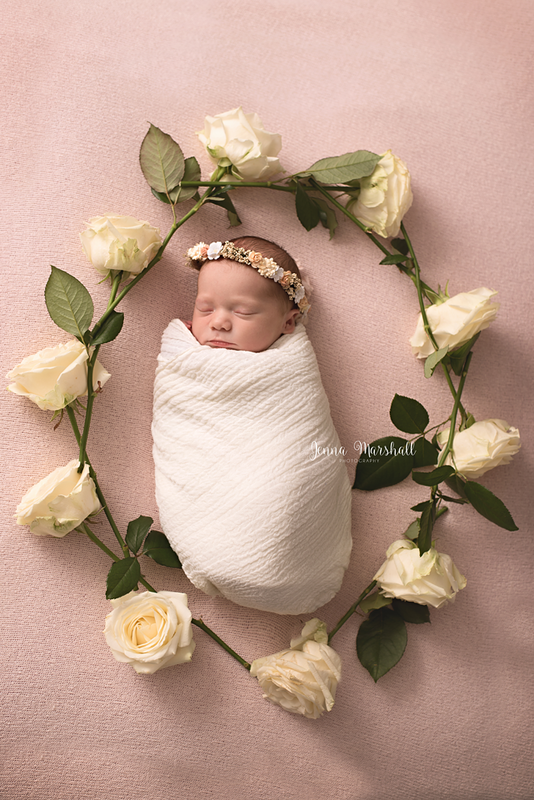 Especially as Amelie’s older brother Mason was one of the hardest sessions I have ever done for the same reason of having an upset tummy and generally being very unsettled and irritable. I decided to start the session with this pose as baby is wrapped up nice and snug making them feel comforted and also baby is upright. 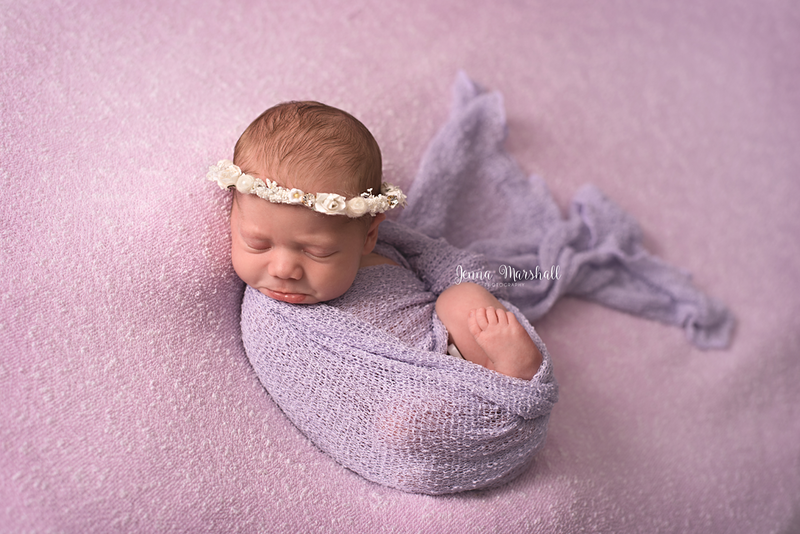 You will find babies with reflux hate being laid down flat as the stomach acid escapes from the tummy and causes them pain, like a severe heartburn feeling. If baby is upright gravity helps to keep the stomach contents in the stomach making for a happier baby. I have had 100% success with this pose. I have never had a baby who has not settled in this pose, making it a great starting pose for a difficult little one. 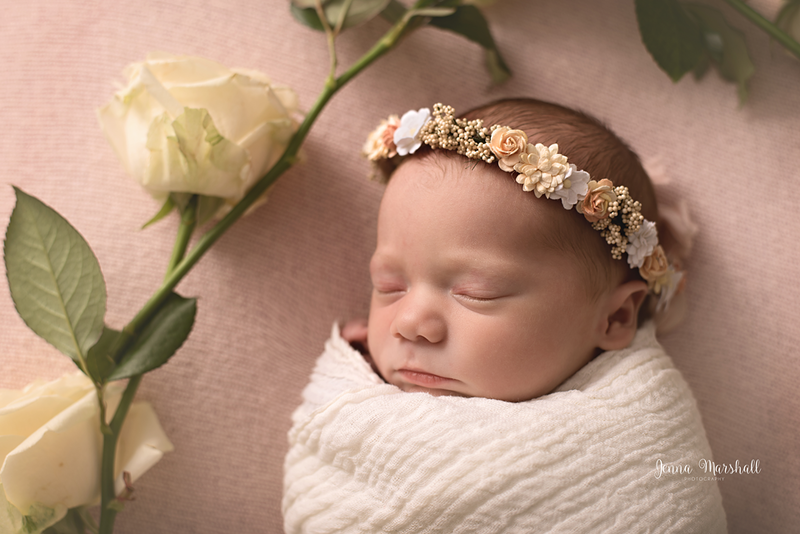 As Amelie was happy wrapped up all I did for the next pose was lay her down and surround her by flowers. You can not tell from the image but Amelie’s top half is at a slight angle again to give the help of gravity with Amelie’s reflux. Here I unwrapped Amelie as she was surprising settled at this point. Again Amelie’s top half is at a slight angle making sure her head is always higher than her stomach. This pose is lovely and natural. There is no positioning of baby to get this image making it a good one to disturb baby as little as as possible. This pose is great for those with a sore tummy. There is no pressure being put on their stomach and they have their legs slightly stretched behind them. Again I probably have 100% success with this pose. To change the image up I simply add in a teddy and move one hand. Giving me two different images without really moving Amelie at all and disturbing her. The less you have to move an unsettled baby the better! Now if I am honest I am surprised we got this pose with a reflux sufferer. Usually laying them on their tummy irritates them and they become unsettled. For Amelie I tried to make sure her top half was again angled and sitting above her stomach. This did seem to work and she was more than happy in this set up. 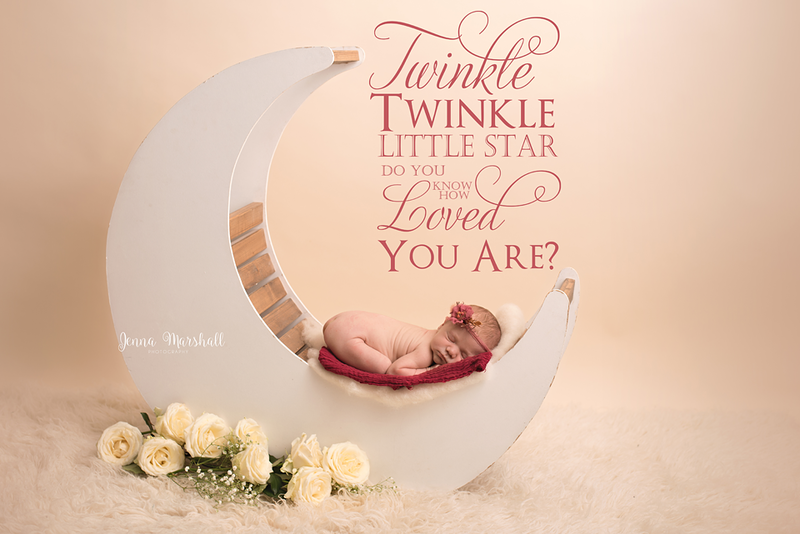 As Amelie was content in this pose we decided to keep her in it for a prop set up on the wooden moon chosen by Jenni. She loved being in this curled up position which is very typical of a 6 day old baby. 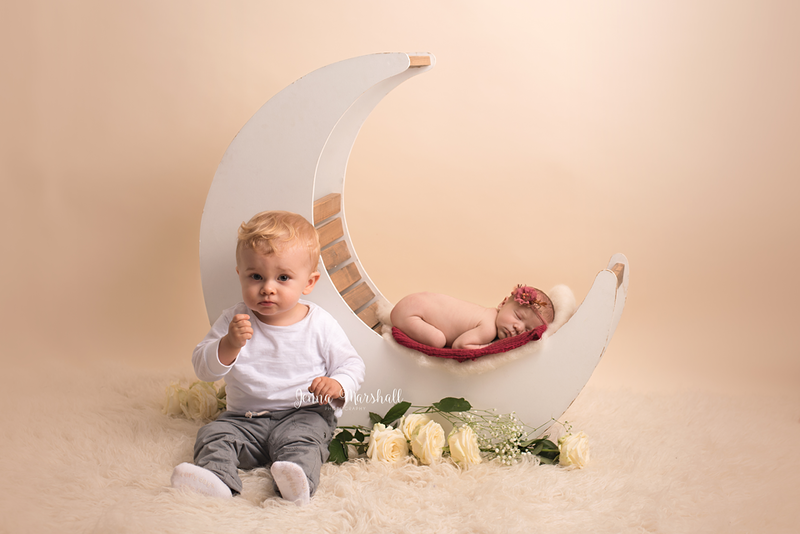 We even managed to add Amelie’s older brother in for a very cute sibling image. For our second prop we did a warm christmassy sort of set up. 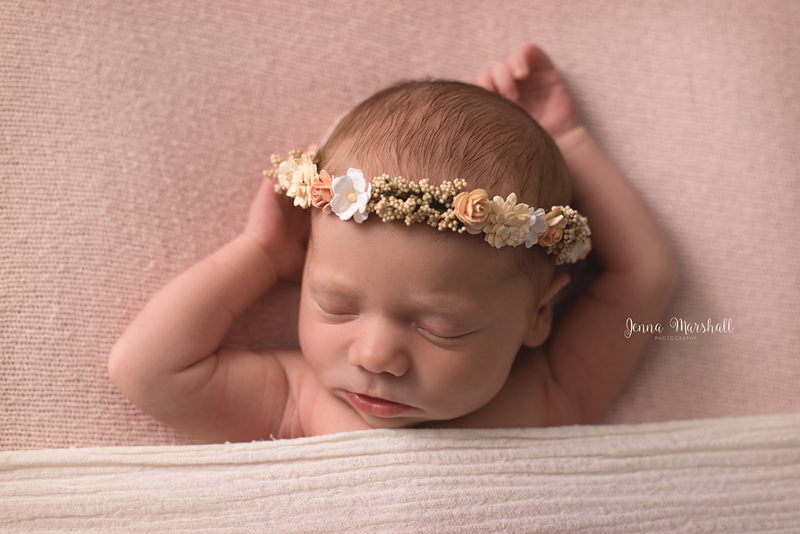 I made sure when placing Amelie is this gorgeous wooden bed from The Original Photoblocks Prop Shop that her bum was angled lower than her stomach and her head was lifted up, again to get gravitys help with Amelie’s reflux. 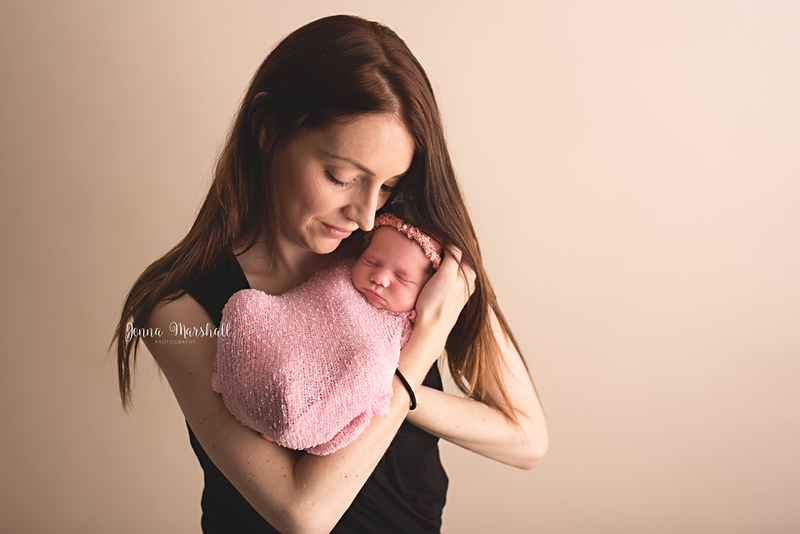 Amelie started getting a little unsettled at this point so we wrapped her and got her cuddled up with mummy for the last few images. Overall the session was a great success totalling in 36 different images for mum to choose from.